With the universe transiting every day towards the mobile grid, mobile devices have become the smart tool for administrative duties, team management, communication, data storage, and other activities of high importance. The portability attached to these devices have made them so relevant that top business establishments provide their staffs with them to get things done even on the go. This is seen as a great technological leap expected to ease activities and enhance productivity. Using mobile phones for managing accounts, staffs, personal business, large business units, government activities, and many others requires storing some confidential information on the phone. That translate to the need for security and XOS Chameleon's XHide App provides just that needed protection against unauthorised access to files, folders, and applications on the phone. If you want posts and articles like this Subscribe to our newsletter to receive updates delivered to your mailbox. You can equally join our WhatsApp group or Facebook Group for more conversations. Updates cover topics such as blogging, SEO, Phone Review, Social Media Marketing, Affiliate Marketing, and Internet Marketing. What if I forget the PIN for accessing the app? I guess for some, after using the app, it suddenly disappears? Where can you find the app again to open and access your documents? The two questions above call for serious thought. If you happen to know how to address them, then take a look at other posts available on the blog for something informative. If not, use the next few minutes to read this post and get useful tips on how to reset your PIN and equally access Xhide after it has been hidden. For sure, your days of toiling and sweating for documents you have hidden but not able to access are now far gone. Just keep to the guidelines on this post. The first release of the XHide mobile app was bundled alongside several applications, collectively called, XOS Family Apps. This app is a part of the Infinix XOS Chameleon Operating System. This OS is a modified version of Android OS developed to improve the performance of smartphones, optimise power, boost security and deliver the aesthetic appeal to its users. XHide happens to be one of the applications this OS capitalises on to accomplish the above. It is developed and managed by Infnix Mobility - giant phone manufacturers who have provided strong competition in the smartphone industry. While some have doubted the performance of this OS, many have come to realise that it integrates irresistible features that deliver satisfaction, excitement, and productivity. You don't have to worry about how to manage the battery of your smartphone anymore as this OS handles that with ease and dexterity. XHide is a security application that ensures the safety of smartphones by hiding applications, videos, music, files, documents, settings, contacts, and pictures thus, making it difficult for unauthorised persons to access them. Though XHide is a security application, it does protect the phone against viral attacks and hijacking by malicious applications. It focuses on files and documents stored on the phone. Its functionality is similar to hiding folders on a PC. However, it requires a security code for unlocking and accessing hidden files and documents. With this, only those you disclose your PIN to will be able to access the contents of the application. Fingerprint Security: XHide uses the fingerprint feature of the smartphone to provide extra security. The login interface can be in the form of a PIN or fingerprint. Easy-to-use Interface: some of us do get pissed off when the user interface of some applications become to complex to use and understand. Handling things on complex apps can be stressful, time-consuming and even futile as you will have to search for the features. This is dissimilar with XHide. It integrates a simple interface that anybody who uses a smartphone can operate. Top Class Security Procedure: this app uses excellent security procedures to keeps things safe. New users will find it uneasy to access the procedures. This is intentionally done to add more strong ends to the security protocols. I believe we have gotten to one of the sections you have been waiting, and believe me, we are almost done. Just a few steps and tapping and you would have hidden your confidential information and documents. As I earlier stated, you need to hide information to keep it confidential. You never can tell who might want to access your personal details or other classified information you store on your phone. So, let's hide some of our confidential information. 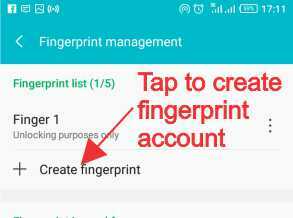 To create a fingerprint account, launch the Fingerprint App from your phone. Your phone must support this feature before you can use it. Now tap on Fingerprint Management. If you are using any security feature, e.g. pattern or PIN, you will be required to provide that before continuing. So, provide the security details of your phone to open the management console. If you are not using any, you will have to create one. 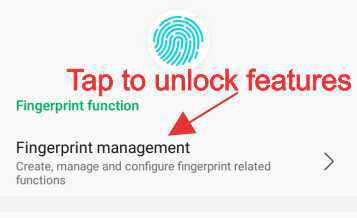 Next, tap Create fingerprint. You will be taken to the page where you will have to scan all your fingers using the scanner provided on the back of the phone. To scan each finger, place it on the scan and wait for few seconds. A message will be communicated to you to remove your finger and place another. Do so until you scan all the fingers. Save the account with an identifiable name. Scroll down and activate the XHide feature. Now, if this is your first use, open the XOS Family folder. There you will locate XHide. Tap on it to launch the app. Otherwise, if you downloaded the app or had removed it from the folder, check through all your applications and to locate XHide. Then, launch it and turn on the hidden mode (by default the app should be in hidden mode). You will have to provide a security password, one you can always remember and an answer to a security question. Note that after your first use of XHide, the application will no longer be found on either the XOS Family folder or anywhere on the phone. Communications: Concern with messages and contacts. Records: for capturing private voice records. App Hide: for hiding and unhiding applications. Tap on the plus sign at the top and mark the music, video, picture, etc. you want to hide. Once you are through with the selection, tap on the tick sign at the top to hide your selection. Now you are through! Exit the app and the selections in the category would have been hidden. To find out if they have been hidden, try accessing as you would have done if they were not hidden. Can you find any? Not at all! Accessing Hidden Apps, Videos, etc. 1. Launch your phone's dialling pad and dial ##0000. 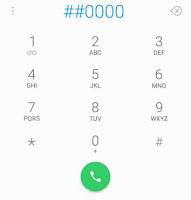 Where 0000 represent the four-digit PIN you provide when accessing the app for the first time. For example, if you provided 2365, you will dial ##2365. Dialling this will launch the application automatically so long as you dialled the right code. 2. Select the category to which what you want to access belongs and then tap on it to open whether an application, SMS, contact, video, etc. If XHide is not in hidden mode, locate it on your phone and tap on it. This will launch the app from where you can select the category to access what you want. But this is not safe because no security authentication will be provided. Anyone can access your information. I know you would have been asking the same question, 'What if I want to unhide something I have hidden before?'. Well, this is equally nothing to worry about. 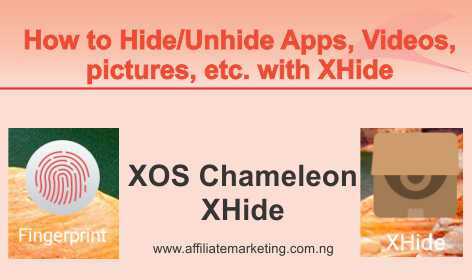 To unhide some of your apps, videos, pictures and other you have hidden with XHide, launch the app. Don't forget to dial ##0000 using your four-digit code. Then the select the category of what you want to unhide. A list of what you have hidden will be displayed. Then deselect those you want to unhide and tap the tick symbol at the top to complete the setup. This is another aspect you will like to pay attention. There is always the possibility of you forgetting the code for launching the application. When that happens, you have no choice other than to reset the code. For security reasons, XHide ensures that not just anybody can reset the passcode. Should the code be reset without an answer to the security question, previous data will be lost. Now, let's move to how you can reset your Xhide password or code. Launch your phone's dialling app and dial ####. This will take you to the page where you will be required to answer the security question you provided while creating the account. Next, enter the code you want to use in for launching and accessing XHide. Save it and you're done. Now launch the app with the new password as usual by dialling ##0000 where 0000 represents the new code you provided. In case you don't feel like hiding your XHide app again so that it can be visible among the apps on your phone. Before doing so, remember that when XHide is no longer in hidden mode, anybody who accesses your phone and launches the application can access every detail and information hidden within it. This implies that the app will only operate as a normal folder for storing your information. So, I strongly recommend that you avert from this practice for security reasons. Dial the security, as usual, to launch the app automatically. From the interface from categories are displayed, tap Settings. From the options displayed, under the Safety section, set the Hidden Mode to off. By so doing, you would have removed the app from hidden thus, making it visible among other apps on the phone. Well, security is of utmost importance to every one of us. From videos, images, contacts, text messages, banking apps to many other things, there are details we so much value and keep confidential. So, it's up to you to decide what to hide and how you want to access it. I guess it was a pleasure reading this piece of information. Don't forget to share so that others can learn from the insights presented here.